The figure is so important, I'm breaking it out from the long analysis posted mid-afternoon about the smartphone market consolidating around Apple and Samsung. The South Korean electronics giant is doing to Android on smartphones what Amazon does on tablets: Hugely fragment the market around a forked operating system. I warned about this three weeks ago in post "Google has lost control of Android". Now there is sales data to back it up. Earlier today, Gartner released first quarter sales data for global handsets. Not shipments into the channel, but actual sales to end users. Market leader Samsung accounted for 40 percent of all Android smartphone sales, with no other manufacturer topping 10 percent. Sure Samsung's success lifts overall Android smartphone share -- 56.1 percent up from 36.4 percent a year earlier. But what's good for Samsung isn't necessarily in the best interests of the broader Android ecosystem. Smartphones accounted for 43.9 percent of Samsung handset sales in Q1, according to Gartner -- that's out of 86.6 million handsets. 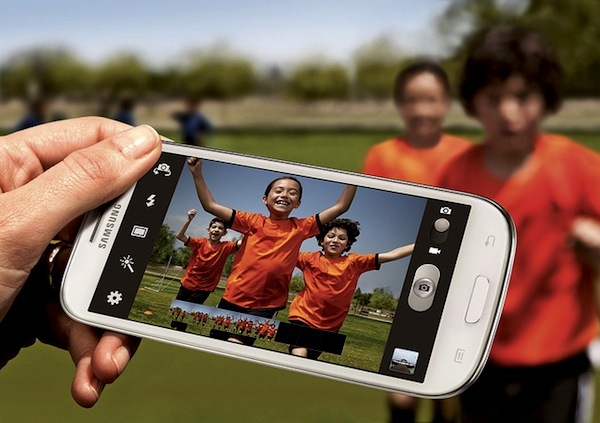 Samsung smartphone sales rose 25.9 percent year over year to 38 million units. One OEM is largely responsible for overall Android sales gains. Based on recent gains, it's no longer a question of if but when one licensee accounts for half of all Android smartphone sales. That would be great if Samsung shipped pure Android. Instead, the consumer electronics company skins the OS with TouchWiz UI, which customization will be greater on Galaxy S III than any of its companions. Samsung, and not Google, controls the Android user experience and when handset owners move up to the newest version; the majority still have Gingerbread and not Ice Cream Sandwich. Additionally, Android's continued success largely ties to a single manufacturer whose priorities are broader and in some ways out of sync with Google's and the operating system's other licensees. For example, Samsung also sells smartphones with home-grown Bada and Windows Phone, all while paying Microsoft a patent bounty on every Android. Allegiance to Android isn't assured. This fragmenting -- no fracturing -- of Android isn't just confined to smartphones. Amazon started selling Kindle Fire in mid November. By end of December, the tablet already had captured 29.4 percent US share, based on number of unique devices, putting it ahead of the Samsung Galaxy Tab family (23.8 percent). Over the following two months, Kindle Fire took sales from every other Android tablet, ending February with stunning 54.4 percent Android tablet market share. Tab family ranked second followed by Motorola XOOM, with 15.4 percent and 7 percent share, respectively. So for each, Android smart phones and tablets, one manufacturer largely accounts for the majority market share. That would be better for the larger Android ecosystem, if not for the forking of Android. Amazon more heavily customizes Android on Kindle Fire than anything Samsung does on smartphones. The online retailer attempts to create a curated experience, offering capabilities and extended services similar to Apple's. Samsung is moving that way, too, by bundling digital content stores with its devices, for example. However, should the Note platform succeed on smartphones and tablets, a truly forked Samsung Android would emerge as platform for developers creating apps exploiting pen and touch. Forrester Research predicts that proprietary Android will surpass the Google Android ecosystem within three years. Frank Gillette writes in report "Tablets Will Rule The Future Personal Computing Landscape": "The popularity of these content-driven devices will cause proprietary Android share to surpass the installed base of Google’s Android ecosystem in 2015. This further fragmentation will challenge Android developers, customers, and especially enterprises, and hamper the creation of a shared ecosystem". Looked at differently, according to comScore, Apple and Amazon accounted for 71.5 percent of the tablet market at the end of February. In smartphones, according to Gartner, Apple and Samsung had combined 49.3 percent smartphone share at the end of March. In both markets, leadership splits between two companies, Apple is one of them and a single Android-licensee is the other. Something else: All three seek to provide a curated hardware, software services. Yesterday, Wall Street Journal reported rumors that Google would work with Android manufacturers to offer several different Nexus smartphones and tablets concurrent with release of Android 5 "Jelly Bean". Samsung produced the last two Nexus smartphones and HTC the first. That's absolutely the right thing to do. Google needs to regain control of Android from both Amazon and Samsung, while taking more leadership over the broader ecosystem and end-user experience. Updating is where Google's Android control is weakest, and where the company lacks leverage to offer uniform experience across devices or to assure they have the latest OS version. Last month, Google engineer Jean-Baptiste Queru put doubts to rest about who's to blame: "The part that blows my mind is that some variants of the Google-engineered flagship devices still haven't received Ice Cream Sandwich (or are stuck with older versions of Ice Cream Sandwich) because of delays introduced by operator approvals". The WSJ report claims Google would sell the Nexus devices direct, as it recently started doing with Galaxy Nexus smartphone. These Androids would stay up to date and be pure -- free of skins or other enhancements. Google wouldn't seek to replace cellular carriers but augment buying options -- and in process provide needed competition that might compel carriers to update Android versions faster. The point: Google is doing the right thing, but took too long about it.